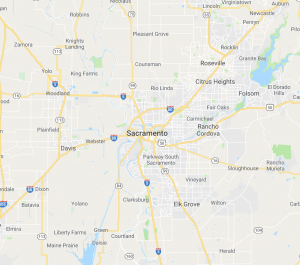 Deciding where to place your Sacramento Deck Company arbor depends greatly on the space being designed and how you would like to use the space. Using an arbor as an entry is a terrific idea as it provides privacy and frames the entryway. If your space is long and narrow, then using an arbor will help break up the space into “rooms” or smaller areas that could have different functions. One of the biggest mistakes people make when incorporating an arbor is not considering the function of the arbor. The function is critical to consider upfront so that the correct materials and structure are in place. The style, look and feel of the arbor should depend on the architecture of the home and how you intend for the arbor to function. If you know these two factors we at Sacramento Deck Company can help narrow the choices for you. Special attention should be made on selecting materials for the arbor if vines or other plant material will be growing on the arbor, or if there will be hanging pots. The arbor needs to be able to hold up the weight of the planting materials or plant pots as well as hold up to weather over time. If the main purpose of using the arbor is for growing vines, fruits, etc., then using a vinyl material would work well. If the arbor is mainly a decorative entrance redwood, cedar or a pressure treated wood can make a beautiful entry statement. If wood is the desired material, then you should consider that the lower portion of the arbor will be underground so using a pressure treated wood for this portion of the arbor would be especially important. The place where you stand to exchange your vows should be absolutely perfect. That’s one reason brides have been using arbors to provide just the right backdrop for their wedding. Sacramento Deck Company will work with the Bride to design and build the arbor that she has been dreaming of. Give us a call today. It would be our pleasure to help make your wedding day one you will never forget.